By 2021, 81% of traffic would be driven by video content. Majority of marketers are now inclining towards video content to recite their story and clearly tell their brand message across the target audience. Animated explainer videos are one of the most engaging ways to present the story of your products, services, or brand as a whole to your audience. The web experts at WeblinkIndia.Net hold expertise in analyzing your idea of the video content and creating an animated video that surpasses your expectations. We also understand your target audience and keep their best interest in mind to ensure they can easily understand your message through the explainer videos. WeblinkIndia.Net masters the art of creating appealing and engaging animated explainer videos for brands across all industries. We understand your requirements and create three different types of animated videos to suit your goal. With custom graphics and animation, animated videos are reigning the video marketing game today. Brands can display their products, explain its working, or educate the audience about something using these videos. Narrating your product/service story was never this interactive. These videos have embedded CTAs that encourage the viewers to take some action like purchasing product, filling their details, etc. When trying to explain the working of an application, website or other things that work on the computer screen or a mobile screen, a screen recorded animated video is the best bet. It explains everything like the features, how-to, etc. As each brand has a different message that they want to tell their audience, each animated explainer video that we create is unique and different. We adopt a very streamlined process to create stunning videos every time. How to make engaging animated explainer videos? There are various things that one needs to keep in mind in order to create an engaging animated explainer video. First of all, it should be short and not longer than 90 to 100 seconds. Instead of going around the bush, they should directly tell the message. Secondly, the animated explainer videos should be appealing to the eyes and the ears. They should have bright colors and motions to attract the attention of the viewer instantly. Thirdly, a good story should be woven around the message to keep the viewers glued till the very end. How do I ensure a good animated explainer video? While the company you hire for getting an animated explainer video plays a key role in ensuring a good video, your interest and engagement in its creation is equally important. You need to be clear about the goal of your explainer video, its message that needs to be told out, and the target audience it is trying to reach. The buyer persona is instrumental here as it is only through them that you can create videos that engage them. 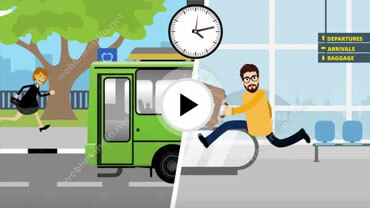 How can an animated explainer video help in promotion? With the changing times, the preference of online population has also changed. Most of the people now prefer watching videos over reading long scripts. With animated explainer videos, brands can present their promotional message to the audience in short, visually-entertaining, and digestible videos. These short animated videos not just attract the users but also retain in their minds for a longer time. What are the ways to promote my animated explainer videos? There are different ways and a number of online channels where one can promote the animated explainer videos. They can be uploaded on different video sharing sites like YouTube, Vimeo, etc., to reach out to a larger audience. By adding keywords in the description and title, brands can optimize the video for higher visibility. In addition to that, these animated explainer videos can also be shared on the website, company’s social media pages on Facebook, Instagram, Twitter, etc. What expectations should I have if I get my video made at WeblinkIndia.Net? 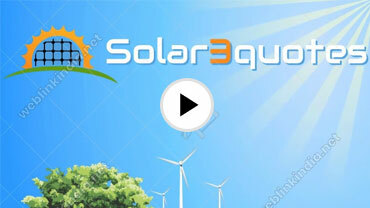 WeblinkIndia.Net excels in creating animated explainer videos for different promotional activities. We not only listen to your ideas but also include our own insights and the knowledge of your target audience in creating a storyboard for the video. We do not jump to video creation directly. You get to review the entire storyboard before it is converted into an animated video. If you do not have a script, we even create one for you according to your video idea. How important is a script for an explainer video? Having a script is a must for any animated explainer video. It should include the core message, the story, and other elements you want to get included in your promotional animated video. By having a script, one can rest assured that everything is included and nothing is missed out. There are many companies as well that can understand your ideas and create a unique and selling script for you.